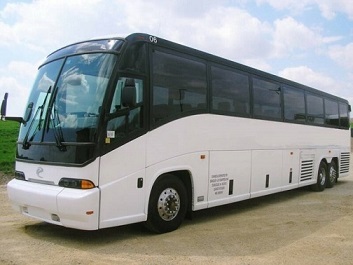 Top quality coach buses for rent. Excellent rates for mini coach, tour bus and private bus rentals. We have a great selection of different size buses that will suit all your luxury and efficient transportation needs. Whether you need to rent a coach bus for a trip, an executive function or a luxury event, we have the perfect vehicle for you. As the leading bus company in Southern Ontario, we provide a variety of transportation services for all your travel needs. We have an amazing selection of buses in our fleet that can carry various numbers of passengers. For example, we have a small bus that can carry twenty passengers. We also have the larger party coach bus which can carry up to fifty passengers. In between, you'll find a number of others buses and services that are able to handle various group sizes, ranging from twenty-five to forty-five passengers. Our buses come with a variety of luxurious features. Some have surround seating with leather seats, hardwood flooring, a bathroom and even a dance floor. Others have plush seating and a variety of elegant features such as mirror ceiling, surround sound and multiple LCD screen televisions. To get the right vehicle, you ought to rent a motor coach from us because we have the selection and the price that is right for your needs. Getting a price is easy. Just pick up the phone and call us for a coach hire quote. Our motorcoach rental services are easily accessible, and you would be able to get a quote right on the spot. We always try to accommodate all requests, so if you have any special needs or requirements, please let us know, and we'll do all that we can to fulfill them. Elegant transportation is becoming such an important part of business nowadays. 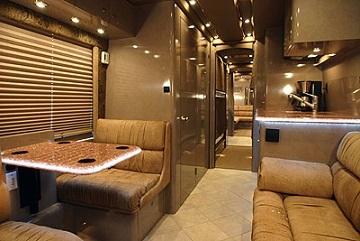 That is why we have made renting a coach party bus in Toronto as easy as possible. We have the chauffeurs, drivers, and experts in the field to make all your transportation needs possible. Using our bus hire service is the surest way to get exactly the type of luxurious travel experience for yourself and for everyone who will be using the coach rentals. Getting the right travel experience means hiring the right luxurious coach service. We love to provide our customers with motor coaches for rent that can make an impression like no other. Whether you are looking to rent a bus for a bus tour to Niagara Falls, or if you are just looking for coach charter to transport you and your friends to a Buffalo Bills game, we have a vehicle that is right for your needs. Availability is limited, so don't delay. Call us and find out about our bus coaches today.